The United States asked North Korea to remove five nuclear weapons, that would be then flown to France for destruction, according to a South Korean press report. The Segye Ilbo reported Friday the U.S request from visiting Secretary of State Mike Pompeo was part of a process to verify Kim Jong Un's intent. Quoting a South Korean diplomat, the newspaper said North Korea's sincerity about dismantlement is being tested. "It is my knowledge this position was directly conveyed to Kim by Secretary of State Pompeo," the diplomat said, adding the United States wants to shorten the time "as much as physically possible" to inspect and verify the removal of weapons. Each month, the goal is to "take out" five existing nuclear weapons, the source said, adding there were discussions about the France-bound dismantlement between U.S. President Donald Trump and France's Emmanuel Macron. If North Korea agrees to denuclearize following the Trump-Kim summit, and Pyongyang accedes to the Treaty on the Non-Proliferation of Nuclear Weapons, or lands a similar deal bilaterally with the United States, the United Nations' International Atomic Energy Agency will be the first to investigate the country, South Korean newspaper Munhwa Ilbo reported Friday. North Korea's intercontinental ballistic missiles would be subject to inspections. Pyongyang previously withdrew from the treaty in 1993, but later reached an agreement with Washington, the Agreed Framework, in 1994. Dismantlement could be time consuming. In 1989, when South Africa ended its nuclear program all bombs were completely dismantled after three years of inspection. Dismantlement is also costly --- a 2007 estimate from IAEA placed costs at around $4.5 million. 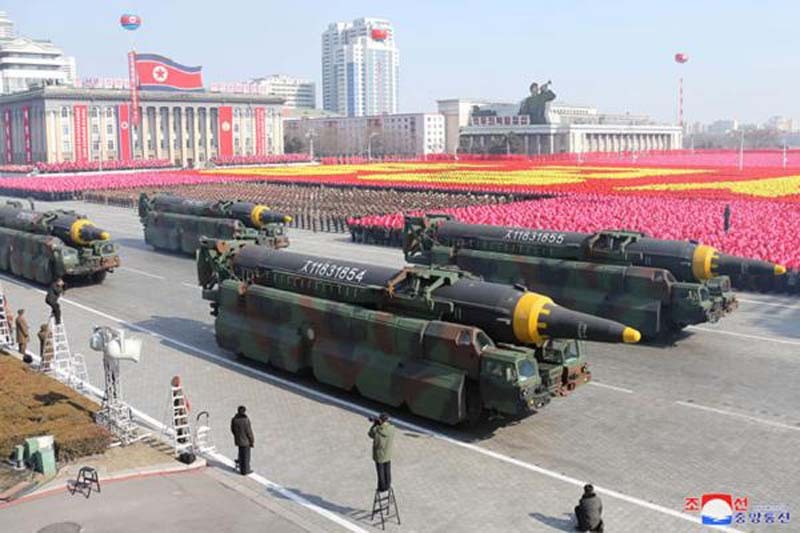 According to the Rand Corp., North Korea may have enough fissile material to build between 13 and 21 nuclear weapons. The accelerated pace of developments that could lead to weapons removal does not means U.S. concessions were made, some observers say. Kenneth Bae, the American who was detained in North Korea for two years prior to being released in 2014, said the United States would never make nuclear concessions for recent moves like the release of three U.S. hostages, the Asahi Shimbun reported Friday. Bae said their release signals North Korea's intent to "improve relations with the United States."